I have been on many quail studies here in Florida. 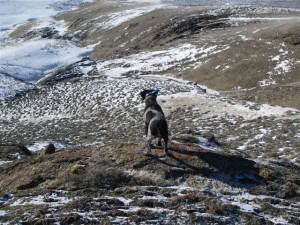 We use English Pointers to cast net and radio collar the wild birds in order to gain a multitude of data year round. Are there any chucker studies currently in Navada doing this? We also are involved in population estimation in the various WMAs. I also am an avid bird hunter. Where can I find out information on what areas to hunt Chucker around the Reno area. Thanks you. The Nevada Department of Wildlife conducts aerial surveys for chukar around August each year using a helicopter. Below is a link to the 2015 survey. Most of the survey locations are over 2 hours away from Reno, however there are some places to hunt near town. If you make it to Reno, contact us and we’ll try to get you lined up. Hopefully this helps!